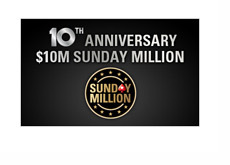 Pokerstars announced earlier today that they will be holding a $10 million Sunday Million on December 18th to celebrate their 10th anniversary. Pokerstars revealed that they are guaranteeing a prize pool of $10 million for the event, which will get underway on December 18th at 14:30 ET. The eventual winner of the event will take home a cool $2 million. 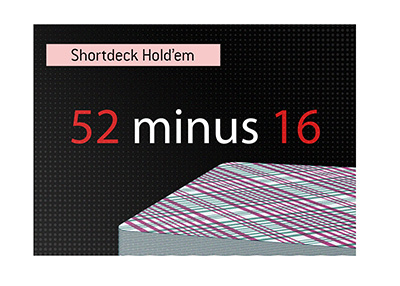 The buy-in for this event will be the standard $215. In addition, Pokerstars also announced that they will be handing out 100 PCA (Pokerstars Caribbean Adventure) packages worth $15,000 each between November 13th and December 11th as part of their 10th Anniversary Giveaway promotion. Pokerstars will be hosting two weekly finals from Nov. 13th-Dec 11th, with the top 10 finishers in each event receiving a $15,000 PCA package. Pokerstars will be running qualifiers to these weekly finals every 10 minutes. 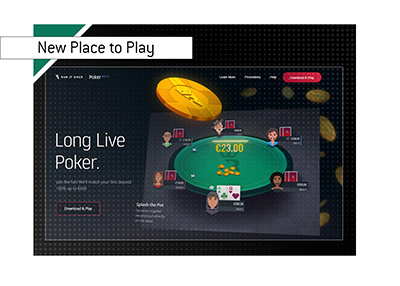 It's pretty hard to believe that Pokerstars has been around for almost a decade now.. Source: Pokerstarsblog.com - Pokerstars 10th Anniversary: Ready for a Two-Month Celebration?